Yes my table needs some freshness. David’s flowers are amazing. Stunning and the colors are right up my alley. I’d go bonkers for this bouquet. Wow! David’s floral bouquet is gorgeous! It is hard to believe it is made from paper. 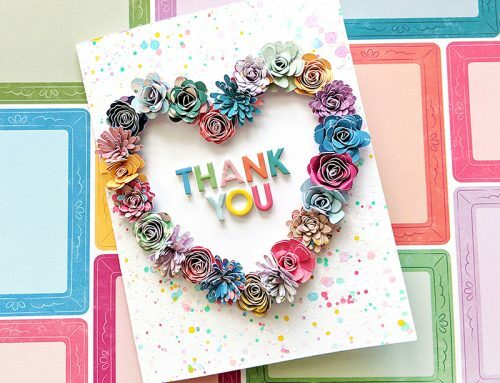 Thanks to SCT and Sizzix for the chance to win the awesome special occasion DIY floral kit! Love thes flowers, and the variety. So many uses, wreaths, frames, table arrangements, home decor, costume design,…. I have always been in awe of David’s bridal ideas. Fasinating. Would love to have these florals on my table. I love the special occasion DIY kit!!! The flowers are perfect! !My favorite real flower is a poppy!For the paper flowers I love them all equally!! Wow! David has designed some seriiously awesome dies. Love the flowers and how pretty they would be gracing anyone’s house. Thanks so much for the chance to win! It is hard to pick one flower, but I have always liked Daisy’s! So light and airy! Thanks for having a give away! I love roses specially Peace rose with other flowers in the vase. I think these dies and David’s designs are a match made for so many occasions! I would love to win them! Those flowers look real…Such a cool idea! Thanks for the chance to win a great prize!!! Rose is my favorite flower, would love to make a dyi gorgeous bouquets from david tutera’s stunning collection dies ? I’ve been seriously eyeing these new flowers David has designed, and can think of so many uses for them. At the moment, lilacs are my favorite, but it’s hard to pick one, since all flowers are so soul-lifting! Wow! Craft products by David – exciting! Thank you for offering such a beautiful giveaway! Thanks for the opportunity to win ??❤️? Those flowers are all amazing and the colors are absolutely gorgeous! Well Done! What a grea idea for a wedding or shower. Love the bouquet! Who can pick just one flower? All nature is beautiful. If I must pick, I choose the hydrangea, I guess because I can’t grow them. lol. Everyone have a fantastic day and Happy Easter. Good luck! I love David Tutera’s flowers! My son is getting married and I get to do the decorations, including the flowers. This would be a great pride to win. The flower centrepiece is gorgeous. Just what I need because I can kill a rubber plant without blinking an eye. No green thumb here. Paper would probably be safe in my house. A paper bouquet with a variety of flowers would look splendid on my table when I serve High Tea to my friends- one of our favourite past times. Fushia is my fav flower. I have to wait for summers to enjoy them. How wonderful it would be to have precut supplies to make a display for the house. No weddings on the horizon this year! What a beautiful bouquet. Great DIY. And for the record, my favorite flower is the daffodil. Favourite flower is a lily but can,t have real ones in the house because they are dangerous to cats. Paper flowers are fine though! I love to make paper flowers for myself and friends. These are quite stunning and the wall displaying David’s photo took my breath away! What talent. I would soooooooo enjoy making this kit. How gorgeous is this? I love it! Stunning…. And the best thing you can keep them. Such patience to create these beauties, thanks for the inspiration! I love all flowers. It’s nice after the dull winter to see a pop of color. Wow, we need those flowers here in Finland, because our spring is so cold that real flowers don’t grow at the moment. My favoriter is the rose. Pink roses are probably my favorite! I love hydrangeas! Would love to win this machine! OH my, love these. Gorgeous. How fun. I love David Tuera’s. I would love to win this. Just Love these Flowers I love shaping them ! I think my favourite is making a succulent and mixing them in with daisies & mums gosh just love them all ! Love love love the flowers! They would brighten up any room. David Tutera is so talented! I ❤️ ❤️ ❤️ his flowers and would love to win this kit so I could have a David Tutera original on display in my home! My favorite flowers are sunflowers and poinsettias! TFS! It’s a toss up for me, between a rose or a peony being my favourite flower. Love those paper blooms and thanks for the chance to win! My favorite flower is the rose. However, I love tulips that show that spring has arrived after a long winter. Absolutely love the new floral creations by David Tutera. His creations are always innovative and so much fun and he makes them easy enough for us to make and create a lovely arrangement for so many different occasions. LOVE IT! Definitely would love to win this fantastic prize. Love to have flowers out around the house. this is a beautiful prize. Gorgeous flowers! My favorite flower is the Daisy!! David Tutera’s flower’s are just pretty and gives a smile when seeing them..My nephew is getting Married this summer and this would make some pretty gifts for them for their wedding..Thanks for a fun chance..Awesome. I buy fresh flowers every week for my table but how awesome would it be to have fresh looking flowers all the time! Love these. Yes these are beautiful! Would love to have! My favorite flower is the Dasiy! This would be the bundle of flowers you could actually save forever, that is what makes this just absolutely perfect for a wedding or even home decor. Thank you for sharing, what a very nice giveaway! All flowers are beautiful. My favourite flower is the sunflower. I call it the happy flower. Fabulous flowers! It’s so hard for me to choose a favorite because I love so many! I’m going to say tropical hibiscus is my favorite. It’s gorgeous and makes me feel like I’m on vacation. Beautiful! My favorite flower happens to be the simple forget-me-not – it’a our state flower here in Alaska! I would love to be able to make paper flowers like that. They are gorgeous. And of course the Big Shot makes it all happen. Thanks Sizzix. This floral set looks gorgeous. I do like sunflowers though, because my favorite color is yellow! Love the flowers! Looking for wedding ideas! Thanks for the opportunity to win! The daisy is my fave! me encantan las flores en especial las rosas ese ramo es precioso. My goodness! That is a beautiful bouquet! Love David’s flowers! I love sunflowers! I love David Tutera’s flowers. I love all flowers however the rose is my favorite. I still have my first Sizzix that I purchased in the 90’s. I now have the Vagabond 2 and love to die cut. I would love to win. I make a lot of cards with flowers so I would love them. There are a lot of beautiful flowers out there but I think my favorite are the hydrangeas. The blue colored ones are magnificen. Loved David’s wedding paper flowers. I’m excited to see all of his line. 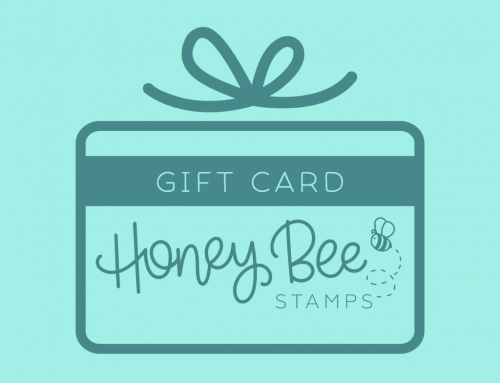 I would love to make a Mother’s Day bouquet with this prize ! Oh just really love these. Thank you for the chance to win this great prize. That bouquet is absolutely beautiful!!! I love the idea behind making flowers and i think it would brighten up every room . 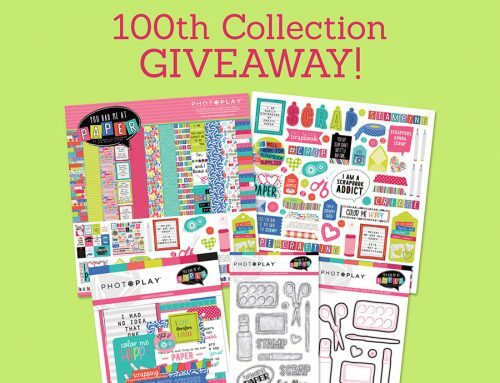 So thank you scrapbook and Cards and David Tutera for the chance to win?!! This is beautiful and would be so much fun to complete. Favorite flowers roses and Hydrangea. Thank you! Happy Resurrection Day! Simply gorgeous. Thank you for the chance to win. May favorite flower is plain and simple, the daisy. This paper floral arrangement is gorgeous! It will be enjoyed far longer than real flowers! I love all flowers, they just finish off a card so beautifully. AUUGHH! I can’t choose just one flower. OK, right now I would say poppies, because we had a wet winter and poppies are blooming all along the roads around here. Thanks for the opportunity to win a great prize! What a beautiful bouquet. I love daisies and baby’s breath and Queen Anne’s lace, all together in one arrangement. And roses and peonies and …..
Beautiful flowers! Amazing what you can do with paper. Thanks for the chance to win such a wonderful gift! Making flowers for display and for cards are one of my favourite embellishments. A great way to add dimension and texture. A simple flower makes everyone smile. The hydrangea is my favourite, you look at it and you just can’t wait to touch and hold it in your hands. Flowers I can’t kill; count me in! My favorite flowers are tulips. The Hydrangeas are absolutely fabulous. David is an amazing designer. ❤️ them! Allow you to create beautiful bouquets to match your decor! May and I’m sure I could put this fantastic kit to good use?! Thanks Sizzix and David Tutera for a wonderful giveaway! My favorite flower is a sweet pea! I would love to win this machine ,I love it ,I want one so bad.I also love David’s flower.But I really love that new machine.? Oh I do love flowers. And David makes the most beautiful bouquet…..My favorite flower is a beautiful red rose. All flowers are beautiful but, being spring tulips are my favorite always and since I’m in the south, love the hibiscus or mums for a centerpiece. Thanks for the giveaway. Happy Spring! I love the hydrangea flowers. Gardina is my favorite flower. the flowers are amazing! I would have so much fun trying my hand at these! Sunflowers are my favourite flowers! I love the new collection by David Tutera! What an awesome give away. My favorite flower is the daisy. I love the flowers! My favorite is the daisy. Love the flowers and a chance to win! David, your flowers are super gorgeous!!! I am a Master Gardener Volunteer so I LOVE flowers!!! This is absolutely fantastic and my favorite flower has to be the Gerbera Daisy!! Love poseys and dogwood flowers. Thanks for the chance to win. Gorgeous paper flowers! Thanks for the chance to win. Creative stuffs. Can do different projects. I really want that to make cards, scrapbook, etc. Rose is one of flowers I like. I also like peony. thank for the chance. I dont have any machine to start with. I did most by hand. The rose. I love them all though and planning a wedding shower and these would be perfect. Aazing creations by Sizzix and Tutera! My hand-down favourite is the Hydrangea – I love the round shape created by hundred of tiny, perfect flowers! I like a lot of the simple old fashioned flowers- Bachelor’s Buttons are my favorites, I think….. and pansies, and carnations….But all flowers and beautiful. This is such a wonderful prize package!! I love all flowers but Daisies are still my favorite! Beautiful arrangement that I would love to decorate with! My favorite flower is the rose. It was my Mom’s favorite and to have roses around brings such sweet memories of her! Thank you for offering this awesome giveaway! These DIY paper flower arrangements are really pretty! We have a wedding in our family this and this would be fun to have as a decoration! It’s hard to pick just one favorite flower, but I guess I would choose roses, although there are so many other lovely flowers too! Thank you very much for doing this great giveaway! Happy Easter! Omg this would be perfect for my wedding! I love big flowers – peonies! Thanks for this chance to win! What beautiful flowers, amazing talent! Would be great to make these – especially the hydrangeas. Love the hydrangea flowers! They will be so much fun! OMG his flowers are stunning, hard to pic just one, all beatiful ?? Love David’s flowers, my favourite flower is a peonies! Oh my!!! I love David’s floral bouquet!!! Thanks for this amazing chance to win!!! Simply beautiful and tasteful! A must for every occasion. I’m very partial to peonies and I think I could make those very easily too. Thanks for the wonderful ideas…. WOW… this kit is super amazing and gorgeous! I love making decorations and flowers, this kit is absolutely everything. Thank you! Spring flowers….tulips, daffodils, peonies. These are always the first to appear in my garden after a long cold winter. Amazing flowers thanks for the chance to win the kit. 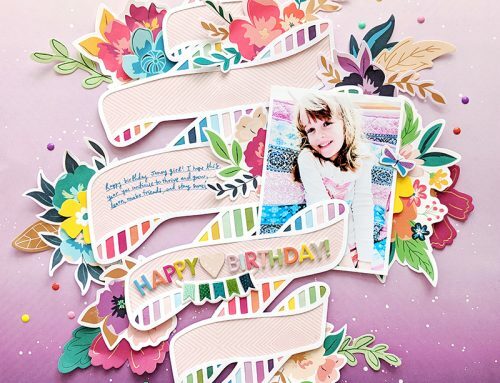 Thanks for the chance to win the special occasion DIY kit from Sizzix!!! David’s flowers are so gorgeous! My favorite flower is the hydrangea! What a gorgeous colour blend of colours in your flower giveaway. I would love to have the bouquet on my dining room table as the colours are the same in that room. Thank you. What a lovely kit! My favorite flower is the sunny daffodil, but I love most flowers!!! TFS! Fireweed is my favourite – bright pink and so hardy. Just love this! It is just stunning! Ahhhhmazing, gorgeous, & stunning!! Such a generous giveaway! These flowers are gorgeous – and the colours are beautiful! Thank you for the chance to win! Beautiful flowers! I’d say my fave would be peony! Oh how gorgeous!! I love peonies! I love all flowers but my favorite flowers are daisies. I would enjoy making these flowers for a centerpiece! What a gorgeous way to display flowers. My favorite is the daisy but really how can you choose. They are all stunning…. I love David Tutera! I love all flowers but my favorite to have in an vase is lilies, my favorite in the garden are roses. I have had other flower making cut-out products, they were nice, but Davids’ flowers look much, much, more realistic. And, absolutely love Sizzex products. I have many!!! I’m digging the hydrangea type flower. Reminds me of the one in my grandma’s backyard. My favorite flower has always been a daisy. I love them! I love hydrangeas! I would love to win this kit. I just gave away flowers I had received as a gift because my husband and son are allergic to just about every flower. This looks like a great alternative for my table! Flowers always brighten my day! Thank you for a chance to win! Gorgeous bouquet. Live all the flowers but looks like a dahlia is in the mix. Love it and the chrysanthemum too! Beautiful bouquet, it looks so real! I love most flowers but Gerbera daisies always make me smile. FABULOUS!!! I love all of David’s ideas. What a great prize. Over the flowers !! Always watch David’s sbow,would have loved for him to have done my wedding . Anything that this man can show me how to make would be awesome!! What a lovely bouquet……and a lovely project. Hydrangeas are my favorite-have at least 2 dozen varieties in my backyard. Gerbera daisies and calla lilies are my favourites. I would love to put these dies to use! Thanks for the chance to win. Love most anything by Mr. Tutera. How fun it would be to win the flowers. My favorite flowers for the past few years is the tiger lily because of it’s awesome fragrance and beauty. Not sure if I have the patience to make these beautiful flowers but would love to give it a try. They are so elegant. Forgot to say I love the white mum flower. I love this bouquet. It would be perfect for my Granddaughter’s wedding. She wants a “bunch” of flowers she can keep forever. Just beautiful. Every flower is beautiful, but my personal favorites are roses and lilies. Beautiful flower bouquet! My favorite flowers are Lily of the valley or gladiolus. Thanks for the chance! I really admire Davids work and I can’t believe that this bouquet is made of paper flowers! They look so real. My friend Andrea is getting married at the end of April and this would be a beautiful remembrance bouquet to have of her special day. I would really love to win this. It’s also time to buy a big shots die machine and some beautiful floral dies. Two of my favourite summer bouquet flowers are roses and peonies. Lovely flowers. Those would look so pretty on the table for my mom on Mother’s Day.